The Manjushri Kumara, the Bodhisattva of Wisdom. The Manjushri Nama Samgiti is a very important text associated with Mahayana Buddhism. The most popular translation of the text into English is by Alex Wayman. The book, Chanting the Names of Manjushi, published by Shambhala in 1985, is an extremely inept translation of the Sacred Text. Unfortunately, there is nothing any better in the market these days. The Manjushri Namasamgiti is promoted as a text of the words of Shakyamuni Buddha who lived around 500 BC, but such is speculation. It is an unfortunate situation today, because there is no Buddha upon the earth, but many hundreds of thousands of extremely devoted Buddhists. It is an unfortunate situation because not one Buddhist in over two-thousand five hundred years has become enlightened by following the Buddhist Doctrine. Interestingly, Shakyamuni is associated with the Rishis of the Rigveda, which is believed to have been put in writing around 1500 BC. 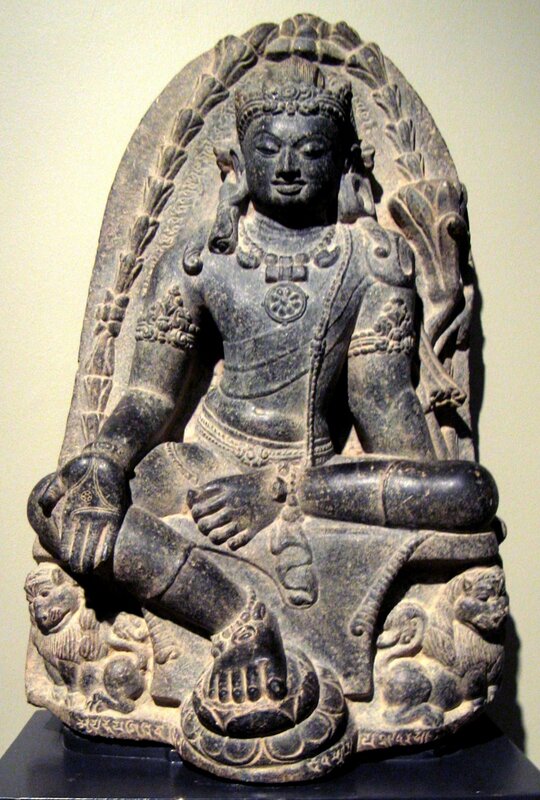 Today, the Rishis are associated with Hinduism, but they were a lineage who became Buddhas, which is connected to Buddhism. Because no one has become enlightened for so long, that which is considered up today is really down. Seriously, the lineage ended with Shakyamuni, but it can be traced back to a far more distant time. Kanva Ghaura, the Founder the Vedic School, was the celebrated Rishi of Tretayuga that began around 7000 BC and ended around 3000 BC. The truth is that the Sanskrit Text of the Manjushri Namasamgiti is the word of Brahma, the Divine Absolute, and a Buddha will adhere to the teaching to illustrate the teaching for people. Here is a verse from the Oral Tradition. But to call on to sing a Sacred Precept.